Join us as Rick Waddell, chairman of the Board of Northern Trust, discusses leadership and addresses topics including how the investment profession will evolve over the next 5-10 years, valuable skillsets that are sought after in new talent, how Chicago can remain a major financial center and more. Frederick H. Waddell is chairman of the Board of Northern Trust, one of the world's leading asset management, asset servicing, fund administration, fiduciary and banking services firms. Serving successful individuals, families and institutions worldwide, the Chicago-based, 128-year-old financial institution had $8.1 trillion in assets under custody and $1.2 trillion in assets under management as of December 31, 2017. Since joining Northern Trust in 1975, Waddell has held leadership positions in commercial banking, strategic planning and Wealth Management. In March 2003, he became head of the Corporate & Institutional Services business unit and, in February 2006, was named president and chief operating officer of Northern Trust. 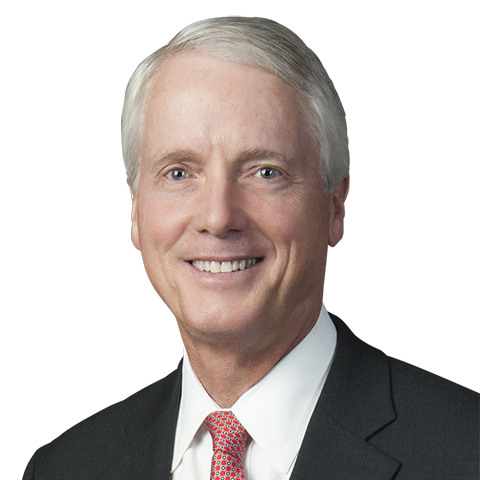 Waddell served as chief executive officer from January 2008 to December 2017, and was named chairman in November 2009. Waddell is a member of the Board of Directors of AbbVie, IBM, The Chicago Council on Global Affairs, Chicago Urban League, the United Way of Metropolitan Chicago, the International Monetary Conference, and the Financial Services Roundtable. He is chairman of the Civic Committee of The Commercial Club and also serves as vice chairman of The Commercial Club. Waddell is on the Board of Trustees of the Art Institute of Chicago, Northwestern University, the Chicago Symphony Orchestra, and Northwestern Memorial Hospital. He also serves on the Global Advisory Board of the Kellogg School of Management and is an executive advisor to the Metropolitan Planning Council. Waddell received a bachelor’s degree in government from Dartmouth College and a master’s degree in business administration from the J.L. Kellogg School of Management of Northwestern University. Regular, Candidate, and Affiliate Members may apply function tickets as payment for Non-member or Student Member. Credit card required to guarantee ALL reservations except for reservations using Function Tickets. Day-of-event registrations accepted on-site only if applicable and space available. There is a $5 surcharge for walk-ins. Visa, MasterCard, American Express, Discover and Diners Club are accepted. Cancellations accepted until 5:00 pm, October 4th.